Floyd Mayweather Jr. and DJ Khaled have agreed to “pay disgorgement, penalties and interest” for failing to disclose promotional payments from three ICOs including Centra Tech. 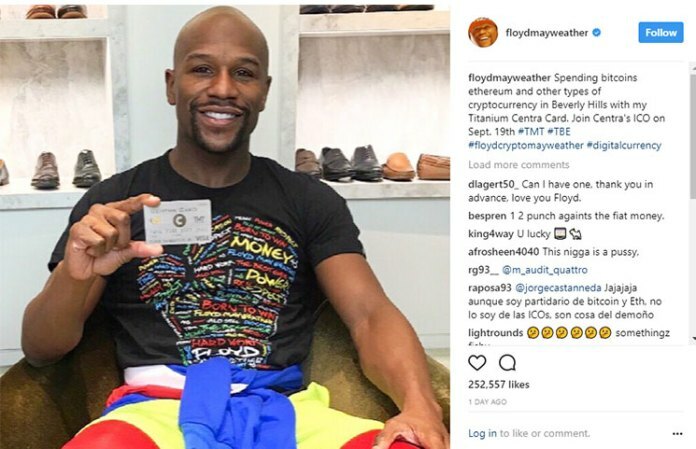 Mayweather received $100,000 from Centra Tech while Khaled got $50,000 from the failed ICO. The SEC cited Khaled and Mayweather’s social media feeds, noting they touted securities for pay without disclosing their affiliation with the companies. “You can call me Floyd Crypto Mayweather from now on,” wrote Mayweather. Sadly, the SEC ruled he is no longer allowed to use the nom de guerre “Crypto” anymore. The SEC indicted Centra Tech’s founders, Raymond Trapani, Sohrab Sharma, and Robert Farkas, for fraud.